If you are a spouse or parent of a loved one who was lost on 9-11 or whose loved one was in the military fighting for our freedom, please let us know so we can honor your loved one by giving you a Freedom Quilt. American Angels' efforts include sending comfort lapghans to the wounded and to sending a HEROGHAN to the family of those service members who have given us so much. Each square on the "ghans" are lovingly handmade by members of American Angels from all over the USA and each "ghan" is assembled by other members located all over the USA. Many tears are shed over each square and each "ghan", but our thoughts and prayers (and tears) are weaved into each one in the hopes that it will give some comfort to the family members who have lost a loved one and know that we will always remember the sacrifice they have made. Throughout its history, the United States has remembered its military heroes in many ways, with plaques, parades, statues and memorials. The Home of the Brave Quilt Project was started to continue that proud tradition. We are a nationwide movement dedicated to honoring the fallen heroes of the conflicts in Afghanistan and Iraq by making and presenting homemade quilts to their families. We want to show our gratitude for their service and provide a measure of comfort to their families with our quilts. Thank you for your interest in Carved Creation's FallenPatriot™ program. In celebration of Independence Day 2010 through 2014, we undertook the goal of providing a FallenPatriot™ pendant for each parent or spouse who has lost their loved one in either Iraq or Afghanistan in defense of our cherished freedoms at absolutely no cost to the recipient. With the help of 50 volunteers and over 1000 hours we have hand-made 2,468 FallenPatriot pendants. This year have just as many volunteers lined up to repeat the task. Although these free pendants are no longer available, if you have lost a love one in any conflict or would like to honor a soldier currently serving, we have created the Patriot™ bracelet or pendant that can be purchased at a 50% discount. 100% of all funds collected going to support the FallenPatriot™ program. Wearing a HeroBracelet is a profoundly simple way to show your respects to the brave men and women who serve, those wounded in combat, or those killed in action. Also available is HeroTags, a dogtag for those who prefer a necklace. Honor our fallen heroes by showing that we remember them and their sacrifice by wearing one of these memorial bracelets. You will receive a randomly selected, beautifully engraved memorial or hero bracelet with the picture of one of our fallen heroes as well as their name, rank, branch of service, hometown, and date of loss. You now have the choice of accepting a random selection or specifying a particular name. Almost every person you come in contact with will ask you about your memorial bracelet and its significance. Help them to remember our fallen heroes also! Memorial Bracelets helps others remember and honor the victims of terrorist attacks, military casualties and POW/MIA's by offering individually engraved bracelets, dog tags and pendants bearing the name of the victim or a supportive message. Project Never Forget would be honored to offer every family who has lost a Soldier in this war one personalized 3-D photo charm memorializing their loved one. This Fallen Warrior Memorial stands over one foot high including the faux marble base. In fact, it measures 7.5"w x 13"h and weighs approximately five pounds. It is constructed with two layers of ancient bronze electroplated over cast poly-resin. The result is an extremely high quality metal sculpture that is less fragile, more luxurious, and at an affordable price. Showing a warrior remembering his fallen comrade, this piece is suitable for honoring fallen Soldiers, Marines, Airmen, and Sailors. The above masterpieces (see photos on website link) are miniature scale replicas of the proposed or already now erected, large bronze monuments. These miniatures will serve as a timeless reminder of the respect our armed forces deserve both past and present. Each miniature is detailed by hand and finished in a faux bronze finish. The purpose behind Flags for Fallen Military is to provide a lasting honor and tribute to those families who have lost a loved one in the line of duty. We discretely seek out families who wish to honor their loved one and we engage them in a respectful manner. We hope that the process leads the family to accept, at no cost to them, our offer to install a flagpole and hoist an American flag in their desired location. We are dedicated to facilitating the presentation of one personalized Honor and Remember Flag for each family of a fallen service member. With thousands of families to reach across all generations, now including WWII to Afghanistan, gifting is only possible with donated resources or specific sponsorships through individuals or organizations. Please be patient as the waiting period may be several months or longer. Pins, shirts, and hats are also for sale. Check with your state for availability of a Gold Star license plate. My name is Alida and like all of you I am a widow. My husband, Sgt. Daniel Woodcock, was killed in Iraq in March 2007, when a building he was clearing exploded. To commemorate the 3rd anniversary of his death I am starting what I'd like to call the Write It Out Project, handmade journals for grieving military widows. Each journal has been covered by a hand-made book cover, each stitch lovingly made by someone who wants to help you heal. They are all different just as we are all different and special. I would love to send one to each one of you. This will help me turn the anniversary day into something positive, so it's a win-win situation! If you are interested in receiving one please contact me at alidanicolelee@gmail.com. Memory Box Project is a non-profit organization that accepts private as well as corporate donations in order to serve families of soldiers killed in recent wars. Our national community has shown exceeding compassion for the thousands of people affected by recent violence overseas. The Memory Box Project was created in order to provide these families with a sanctuary for the memories of their lost loved one. All boxes are hand crafted by DB Custom Woodworking and are made with only the finest, high quality American made products. The Memory Box Project has received national recognition in the form of military interest. Over 1,000 requests have come in for Memory Boxes and fulfillment is strongly reliant on public and private donations. 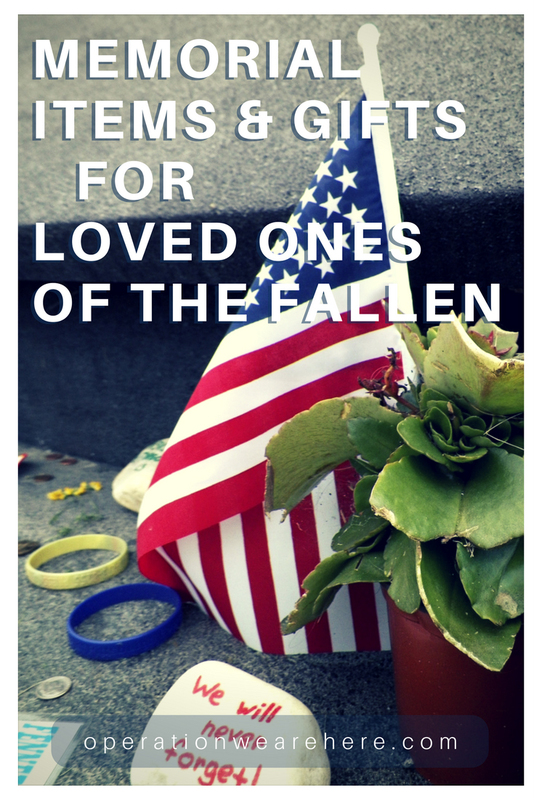 In honor of the fallen, we would like to send a free keepsake package to the closest next of kin who has lost a loved one at no charge to them, made possible with your donations. Included in the package is a beautifully hand painted porcelain keepsake, shown to the right (stand included), along with a Comfort CD. The American Fallen Soldiers Project was formed to help provide comfort and healing to the grieving families of our fallen military. Our non-profit organization makes available at no cost to the family an original portrait of their fallen loved one that fully captures their appearance and personality. After participating in an amazing exhibition in Washington DC "Faces of the Fallen" 2005-2007, I was determined to continue a tribute to the fallen and their families.I began this project as an effort to honor the fallen military lost as a result of the war on terror,Vietnam, Korea and WWll, whether combat or non-combat related. These 11"x14" pastel portraits are sent to the families of the fallen at NO cost as a personal tribute and expression of admiration and gratitude. I can do nothing to change the world situation or the terrible losses, but I am a portrait artist...this is something I can do. 18" x 24" framed oil on canvas portraits of our military fallen - a gift from the artists for their families. Our mission is to donate a hand-painted portrait to the family of every hero who has sacrificed to protect, preserve or defend fellow citizens of the United States of America. Mosaics for Heroes creates poster sized memorial Mosaics for families of our fallen soldiers. There is no charge to the family for the Mosaic. Families can choose to use their own pictures to make the Mosaic or they can use our database of patriotic photos. A typical mosaic will contain approximately 4000 tiny photo cells (sample below). Together, these cells are arranged to give life to the main image of the Mosaic. The Mosaics are created, printed and shipped directly to the family and are sized to fit into a poster sized frame (24" by 36"). A Presidential Memorial Certificate (PMC) is an engraved paper certificate, signed by the current President, to honor the memory of honorably discharged deceased Veterans. This program was initiated in March 1962 by President John F. Kennedy and has been continued by all subsequent Presidents. Statutory authority for the program is Section 112, Title 38, of the United States Code. The Department of Veterans Affairs (VA) administers the PMC program by preparing the certificates which bear the current President’s signature expressing the country’s grateful recognition of the Veteran’s service in the United States Armed Forces. Eligible recipients include the next of kin and loved ones of honorably discharged deceased Veterans. More than one certificate may be provided. These stained-glass angels are given to bring encouragement, love, hope, peace, and comfort to the families of the military personnel who have lost their lives in the line of duty. These beautiful stained-glass, gold-plated angels take approximately three hours to make. Their beauty is matched by the generous hearts of the volunteers who donate their time, talent, and material resources to the Angels of Love Ministry.